What a great a look back. Very endearing. It sure would be nice for you guys to note that Baylor Female College is now the University of Mary Hardin-Baylor located in Belton, TX. It’s rare for two colleges to share such an illustrious heritage together. Not naming the new name of Baylor Female College, might allow some to erroneously believe that Baylor Female College was simply absorbed into Baylor, once it became fully co-education for once and for all. Besides that little annotation, this is a wonderful article that highlights just how the wonderful men and women who graduated from these fine universities before us lived. It is simply grand to note that the very first university in Texas was not only co-educational, but a Christian one at that. I am grateful that the founders believed that education should be provided not only to young men, but young women as well. They were surely ahead of their time, as many other women’s colleges started later, and it was decades and decades before any state school allowed women to enroll in classes. I have been looking for more information on what life was really like for Baylor Female College students were. It’s not an often highlighted part of UMHB’s history. Thanks for making that important point for us, Mary Anne. 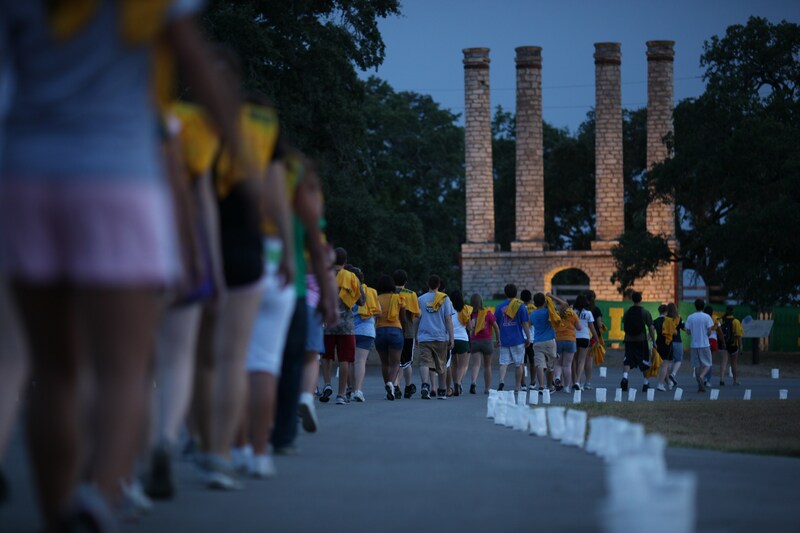 Baylor University and Mary Hardin-Baylor are blessed to share a common heritage, and we’re very proud that Baylor’s founders were so forward-thinking by beginning as a co-education institute. 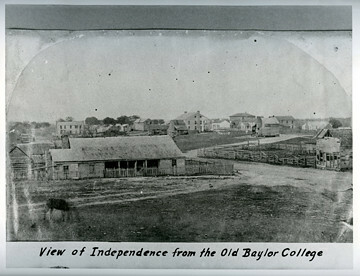 The story of Baylor’s beginnings and the split of the female campus into its own entity is told well in Lois Smith Murray’s book, Baylor at Independence, but you’re right–the story of Baylor Female College at Independence is harder to find. Have you perused the Portal to Texas History? 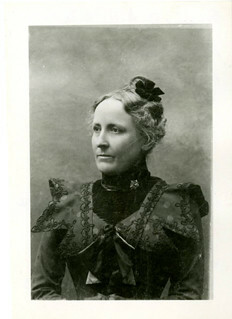 If you do a search for “Baylor at Independence,” you’ll find a variety of sources, but especially compelling are Gertrude Osterhout’s journal and letters from her time at Baylor Female College in the early 1880s. And you might get some ideas of some archives where you could investigate further life at Baylor Female College. If you’re ever in the Central Texas area, we’d love to see you here at The Texas Collection–you can see on our website that we have a number of collections dealing with Baylor at Independence, and while it is stronger on Baylor University, we do have some representation from the women as well. Thank you for the response Amanda. I am currently located in the North Texas region, so a quick jaunt down to Waco would be fairly easy. What are the days and hours for the Texas Collection Library? I also read on UMHB’s website, that Baylor University has a thesis paper by a Thomas Thad Walker, entitled “Mary Hardin-Baylor College, 1845-1937” in your Moody Memorial Library. Could you include those hours as well? Does anyone know what happened to Minglewood, a Baylor rooming house next to the Chemistry Annex on 9th Street in 1953 (year of Waco tornado)? Besides me, other more mature girls stayed there, including four foreign graduate students, two from Korea, one from China who had to flee to the island of Formosa (now Taiwan) when the Communists took over her country, and one from Brazil. The Chinese student was my roommate, and we kept in touch with each other for several years after we both left Baylor.